No roads lead to Juneau. Flanked by mountains peaks and the Gastineau Channel, Alaska’s capital is one of numerous cities and towns in the state that can be reached only by air or water. We flew in from Anchorage and departed by boat, the first leg of our trip along a portion of the Inside Passage, a waterway extending from Alaska to Puget Sound. 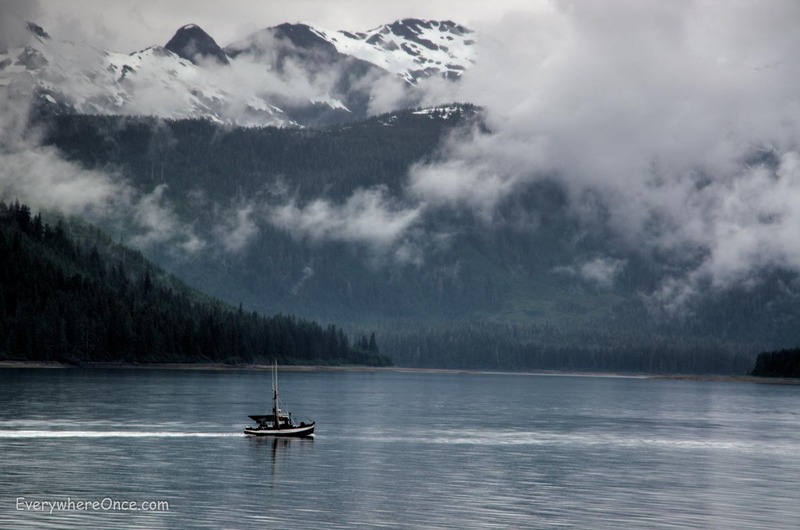 For the nearly five-hour trip from Juneau to Sitka, we staked out comfy seats in front of broad glass windows to watch the show—glacier-carved fjords, islands, rain forest, and fog-shrouded mountains. Other than the occasional elk or sea lion sighting, or a passing boat, not a creature was stirring. Beyond our ferry, nature appeared untouched, silence reigned, and civilization had never seemed so far away. Unlike airplanes and trains, where passengers are largely confined to their seats, on the ferry we were free to roam, walking the outdoor decks and then warming up with tea from a cafeteria. For a little extra cash you can even bring a car along on one of these surprisingly large ferries. Whether you take the ferry or a cruise ship, the scenery along the Inside Passage is the same, and getting from town to town was an enjoyable experience rather than something to be endured. If you have more time than money, the Alaska Marine Highway system offers some of the benefits of cruising without the rigorous structure. An 8-day Royal Caribbean Cruise through the Inside Passage cost $874 per person at the time we were booking our schedule. Meanwhile, our Alaska Marine Highway tickets covering roughly the same ground over 13 days ran us $181 each. That may, or may not, be a huge savings. Our price didn’t include any meals and only one night’s sleeping berth. Depending on how you eat and where you sleep, you could still end up spending more following our do-it-yourself route. Even so, no cruise can compete with the flexibility we enjoyed. 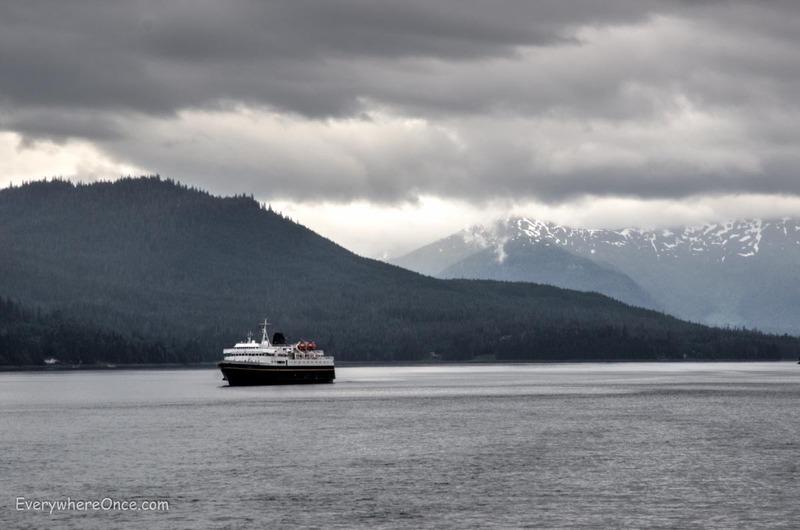 We constructed our own itinerary, choosing which of the Highway’s 35 different ports to disembark at as we made our way from Juneau to colorfully historic Ketchikan. And, mostly, we got to choose how long to stay, but only mostly. The Alaska Marine Highway doesn’t run as frequently as New York subway service. In some places, boats come by once every two or three days. It’s certainly a more leisurely way to travel. And that suits us just fine. 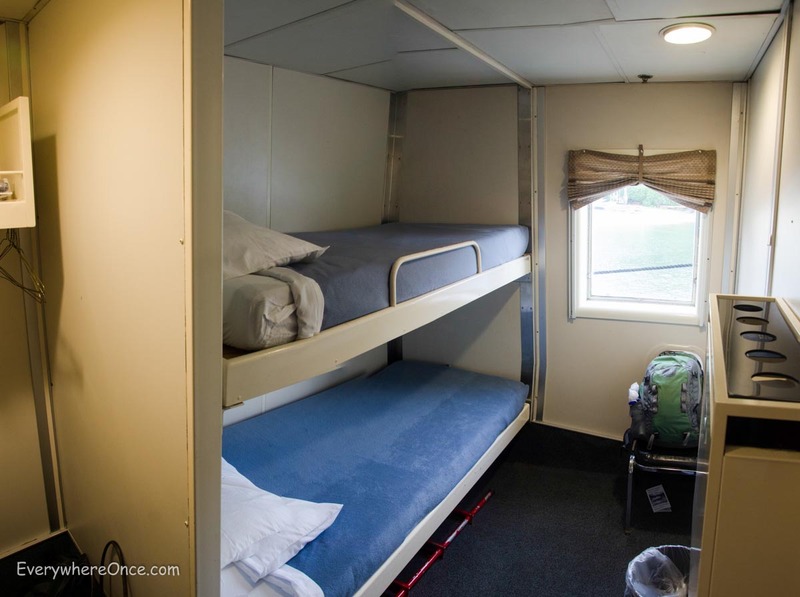 Although the Alaska Marine Highway ferry system is more water taxi than hotel, we slept overnight on a ship while en route from Sitka to Petersburg, a sleepy town off the cruise ship route. Dozing in deck chairs or pitching a tent comes at no extra cost, but we sprung for an outside room with bunk beds, a private bathroom, and a window. Who needs that fancy cruise? Sounds like a great way to see Alaska. Is it much more expensive to take a care with you ? We didn’t take a car so I don’t know the exact difference. But a quick look at some prices on the AMH website ( http://www.dot.state.ak.us/amhs/ ) suggests that taking a regular car may cost about 2.5 times as much as traveling without one. Beautiful! Thanks for sharing the beauty of Alaska. This is great information for those planning travel in that area. Will re-blog. A coworker who grew up in Alaska recommended this “way to see Alaska” to me. Looks like a terrific way to see more, do more, and be flexible. We think so. It takes a bit longer to get around this way but we appreciate the freedom. Thanks for bring back some great memories. We slept for 3 nights for free in the solarium. 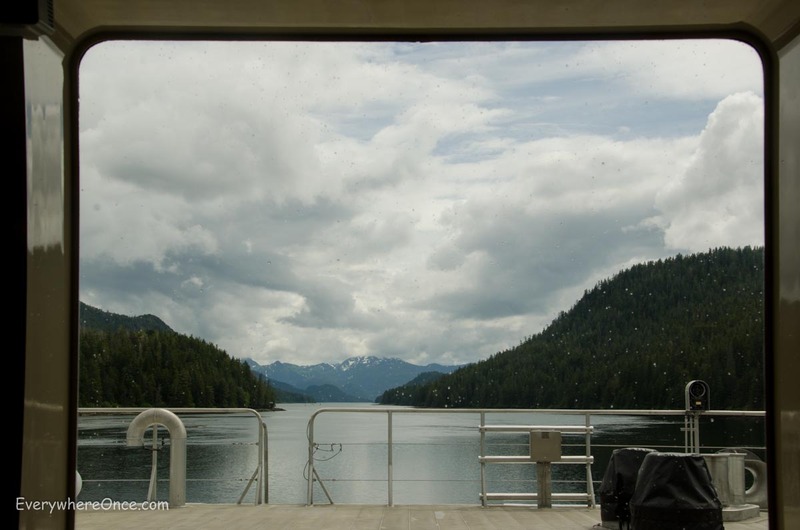 Chugging along pristine wilderness, this ferry is a well kept secret! It’s great that they allow folks to sleep on deck. It’s a terrific way to save some travel dollars in otherwise expensive Alaska. I grew up in Juneau and you are making me so homesick with these awesome photos! 😀 Thanks for sharing. The ferries are a great way to get around Southeast Alaska (I’ve spend a lot of time on them.) Too bad you aren’t there in the summer; most of the ships have a Solarium up top so that people can camp outside on the deck.